Lancashire Head Coach Ashley Giles has put pen to paper on a new deal which will keep him at the club until 2018. Former England spinner and head coach Giles, who took over at Old Trafford in late 2014, guided Lancashire to promotion from Division Two and their first T20 title during his first season in charge. 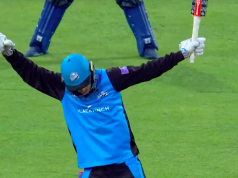 Coaches Glen Chapple and Mark Chilton have also agreed new deals and Giles is delighted to have been given the chance to build on the work they have started at Old Trafford. “I’m delighted that we’ve been offered the opportunity to commit our futures to the club until the end of 2018,” Giles told the club’s official website. 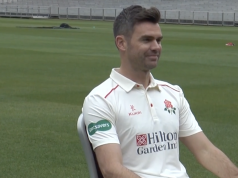 “I’ve thoroughly enjoyed my first 18 months at Lancashire and feel extremely lucky to have such a strong coaching team around me. Lancashire veteran Chapple is still part of the playing squad at Lancashire at the ripe old age of 42. He is just 15 victims away from 1000 first-class wickets having come through the club’s junior ranks to establish himself as a Lancashire legend. 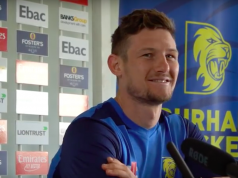 Chilton, another who rose through the ranks at Old Trafford, scored more than 9500 first-class runs for the club before retiring and the pair are now looking to pass on their invaluable experience to the rising crop of youngsters emerging through the academy – hoping to follow in their illustrious footsteps.